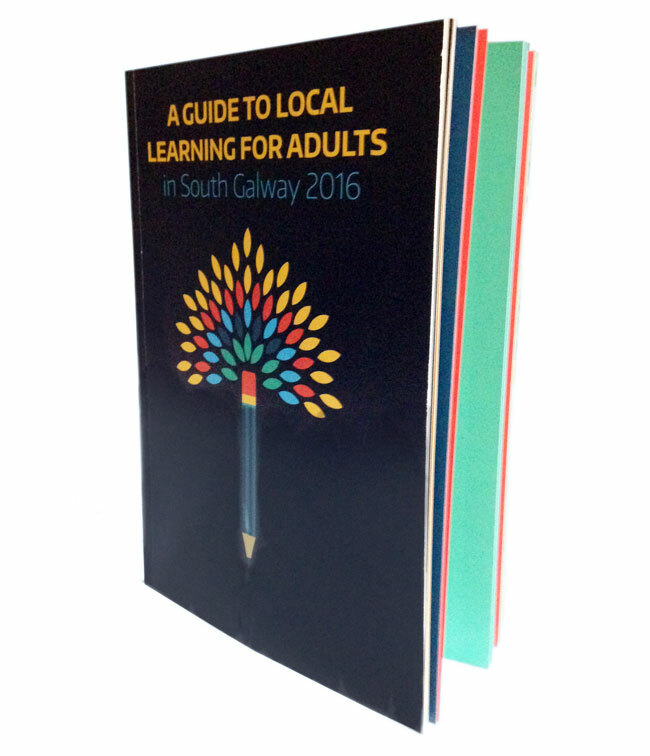 Swift designed and printed this 80 page booklet for the South Galway Learning Network, part of the Galway and Roscommon Education and Training Board. Detailing courses offered by various providers throughout areas such as Athenry, Gort, Ballinasloe, Portumna, Oranmore and Loughrea, the guide is an invaluable resource for adult learners in the region. A colour coding system was used to designate the courses into subject areas, including healthcare, community development, food safety, hairdressing, business and many others.